As a retirement investor, you may be actively considering ways to improve the returns and growth potential of your retirement fund. 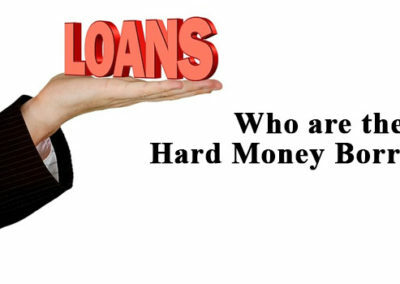 Hard money lending is a wise choice because not only will it guarantee returns and growth; it has provisions to safeguard your money. Hard money lending is also an alternative investment channel for those who are looking for something other than the age-old investment vehicles of the broad bond market and the stock market. 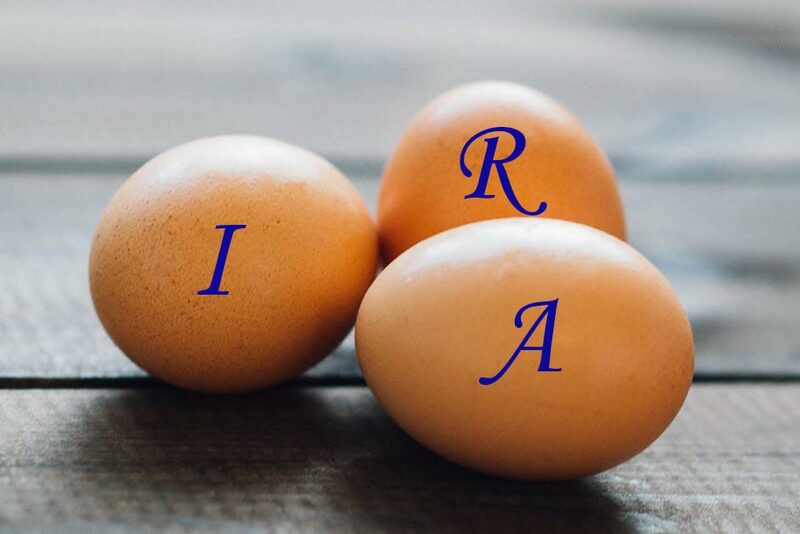 With a self-directed IRA, you may decide how to invest your retirement funds without the kind of limitations that usually exist on IRAs, such as 401(k) or company-sponsored retirement accounts. Many retirement account holders are not aware of the flexibility of self-directed IRAs and the investment options it offers. 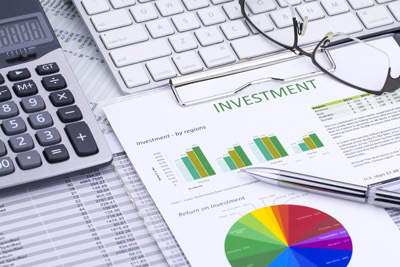 Investment companies and retirement fund custodians set up plans like the 401(k), SIMPLE Plans and Simplified Employee Pension (SEP), and pre-packaged IRAs, they have a stake in stocks and bond mutual funds. 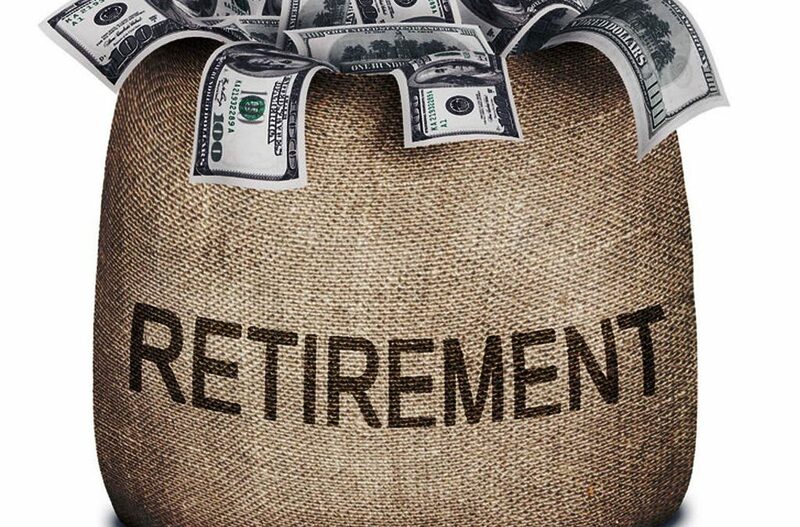 In the alternative, owning a self-directed IRA gives you control of your retirement account allowing you to occupy the driver’s seat and take your nest egg anywhere you want to. The choices are numerous, and you are free to choose one or more of these investments. You’ll definitely find something that suits your individual goals and selection criteria. To start reaping the benefits and freedom of a self-directed IRA, one of your first options should be in hard money lending. Open a self-directed investment retirement account and fund it. Thereafter, you can start by finding a few borrowers or even just one borrower for a start. Instruct your IRA administrator to wire the funds to the borrower(s) when due. As you gradually gain more experience, you can take on more borrowers as time goes by. Every borrower dreads the word “foreclosure.” No none wants to think about it or have to deal with it but it happens. It’s a reality both lenders and borrowers have to contend with from time to time; and hard money lending is no exception. 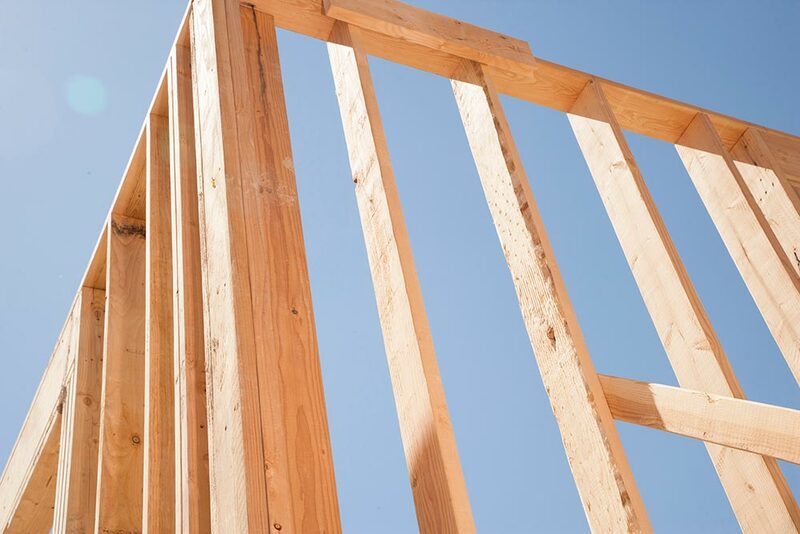 If you are considering private money for your next project, you need to realize that private lenders are likely to make moves to foreclose faster than banks should there be a breach in terms of the promissory note or trust mortgage deed. 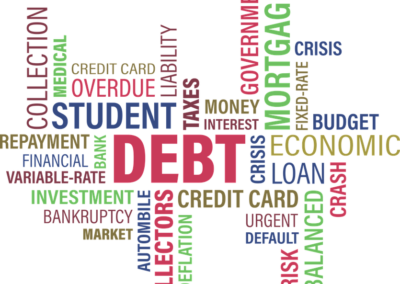 You’ll need to carefully weigh your options and consider the fact that you could lose your collateral if you are unable to fulfill your loan obligation for some reason. Sometimes, the reasons borrowers fall short may be as basic as not properly understanding what they were getting into at the beginning. That’s why it’s important to read through your loan documents carefully before you sign. If you’re still unsure, get a counsel to check your loan documents and review the transaction before you sign. After a careful analysis of the requirements if you think you can’t keep up with the monthly payments, or you can’t meet some of the terms, or you can’t afford the loan as a whole; please back out. In case you don’t know, private money loans fall outside of the typical consumer protection guidelines you can get when obtaining a residential owner-occupied loan. This is because they are mostly loans for business purposes. 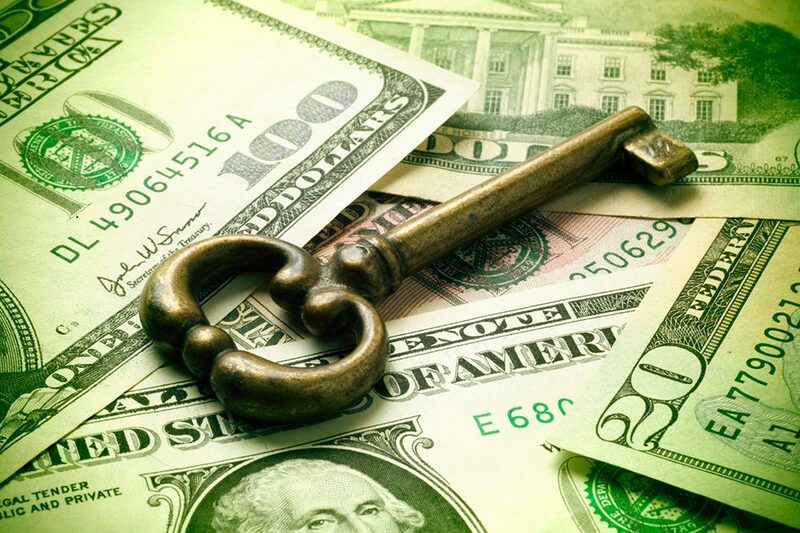 Let’s look at the nature of hard money loans before we examine the different ways lenders can foreclose different types of loans, including hard money loans. It will help you understand why private lenders may seem more aggressive about getting their money back. As you probably know by now, the money you get from hard money lenders does not come from the banks. It comes from individual investors, a group of investors or a corporation. These are investors like you that are looking for returns on their capital. 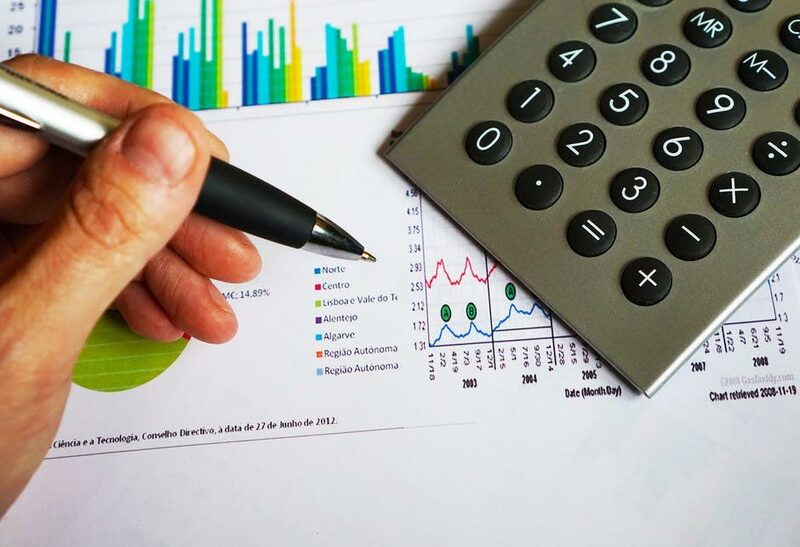 To get these returns, they will approach reputable private lenders to connect them with borrowers such as yourself. The money these investors give you is not insured by the FDIC. Any hope they have of getting their money back lies with you and your fulfillment of the loan. Also, they can’t just walk into a bank and get their money whenever they choose. 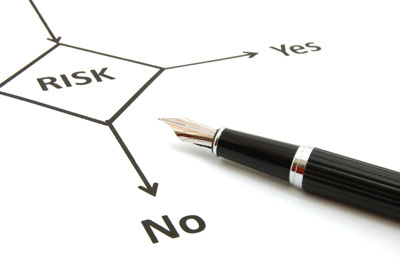 As a result of these risks, hard money loan rates and costs are higher than conventional loans. The lender is also under pressure to maintain his reputation and relationship with the investor; he/she will move quickly and take prompt steps to get the money back if they notice any “warning signs” at your end. 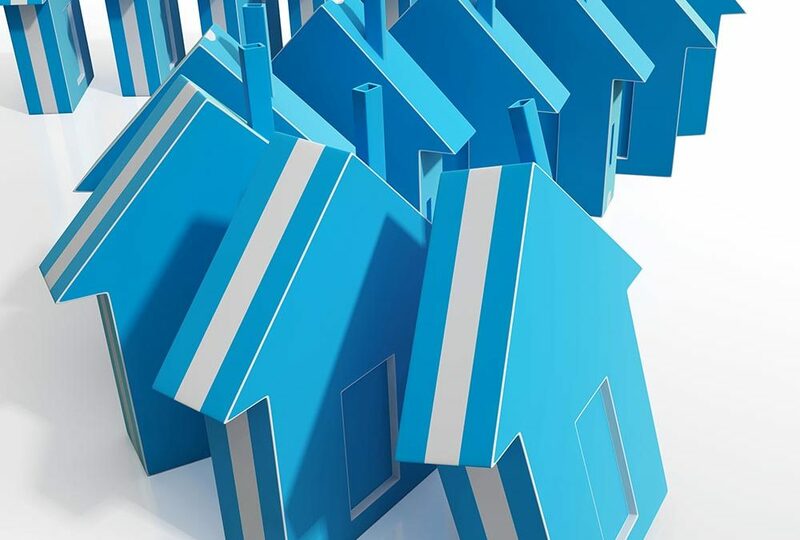 When borrowers consider foreclosure, the first that comes to their minds is that as long as they don’t default on payment, the lender has no reason to foreclose. This is far from the truth and is a common mistake that could cost them dearly. Defaulting on payments as agreed. This remains the most common reason for foreclosure. Call Loans. The lender is allowed to review the financial position of the borrower at intervals based on certain covenants included in the promissory note. 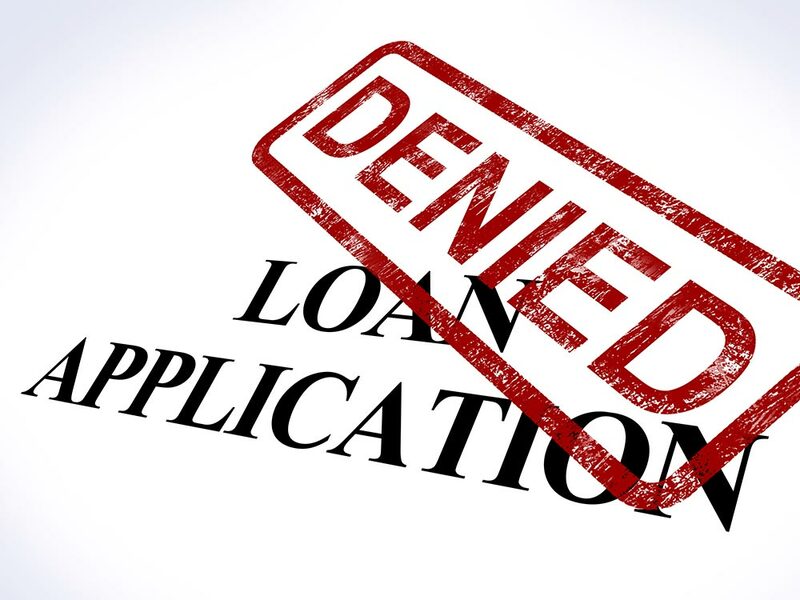 The lender can call the loan due and payable if they perceive that the borrower’s financial position has deteriorated and as such the borrower can no longer fulfill the terms as agreed in the original loan documents. Balloon Payments. 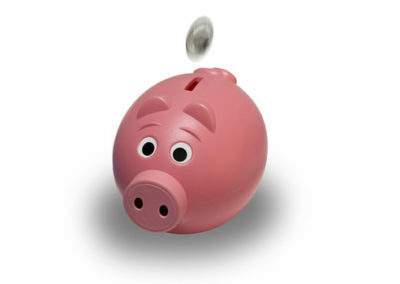 Many hard money loans are in the form of balloon payments. The borrower is expected to pay a substantial part or all of the principal at a specified time in the future. It may be at the end of the loan term or sooner. For instance, you take a loan that is amortized over a 15 year period allowing for lower monthly payments that you can easily cope with. But there is an impending balloon payment due five years down the line. 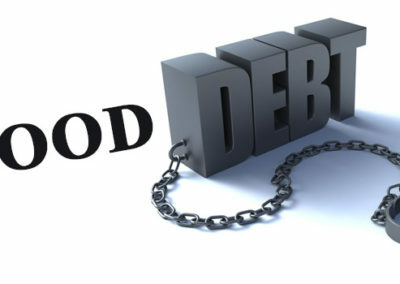 If for any reason you can’t make that payment, the lender may choose to foreclose, and you will lose your collateral.Borrowers should always be wary of the kind of balloon payment agreement they accept because circumstances at the beginning of the loan could change and prevent them from meeting up with the payment obligations later. Not meeting up with the maturity date. This happens if a borrower is unable to pay when the loan is due and payable. Such scenarios are common with short loans like short-term bridge loans with a maturity date in as little as 3 to 6 months or a year. Defaulting on loan covenants. 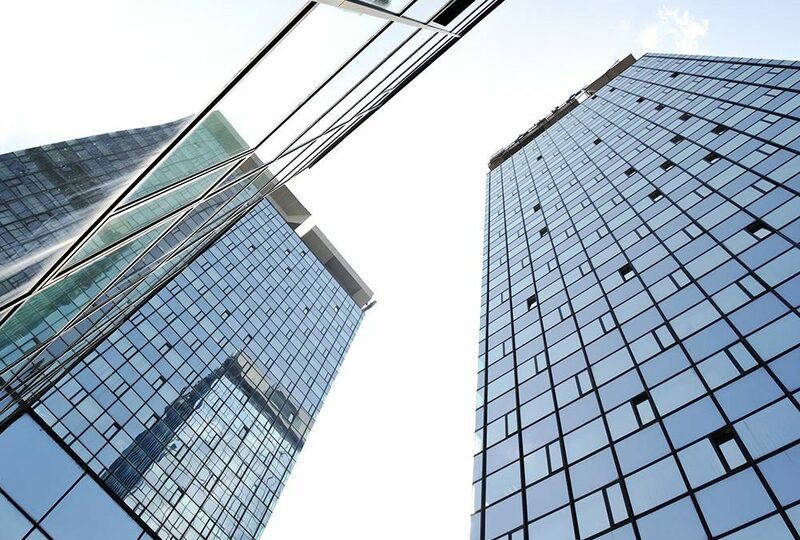 Hard money commercial loans are structured with different types of financial covenants like debt-to-equity ratios, minimum working capital, and non-monetary covenants like restrictions on substantial changes to the type of business the borrower uses the property for. Willful waste. The lender may have the authority to foreclose if the value of the property deteriorates due to lack of, or inadequate maintenance. Illegal/unauthorized transfer of ownership. Your loan may become due, and you will be required to pay in full even when the maturity date is not due if you deed the ownership of the property to another entity without obtaining the consent of the lender first. This applies regardless of if you received money for the transfer or not and is also known as a due-on-sale clause. Unauthorized junior liens. Borrowers will usually be required to obtain permission before adding junior financing, such as a second mortgage loan. Obviously, it could affect the borrower’s ability to still pay the senior lien if their financial situation deteriorates. These are just a few situations in which a lender could foreclose on your property regardless of the fact that you are making the agreed payments when due. Luckily, hard money loan transactions are highly negotiable, so if you know ahead what could go wrong, you’d be in a better position to protect yourself and your assets. The best way to do that is to read the promissory note carefully. Make sure you check the implications of every covenant before you sign because ultimately, foreclosure is an inconvenience for the borrower (you), the lender, and the investor. 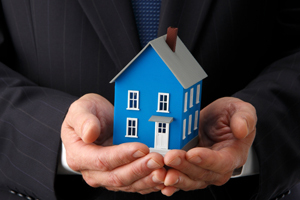 The lender and the investor have no interest in taking your property from you. Don’t force them to. Everyone’s eyes would shine to a sight of new stainless steel appliances, amazing granite countertops, incredible hardwood floor, colors that go with backsplash, tile, baths and the entire house in general. Well, that’s what flip is. 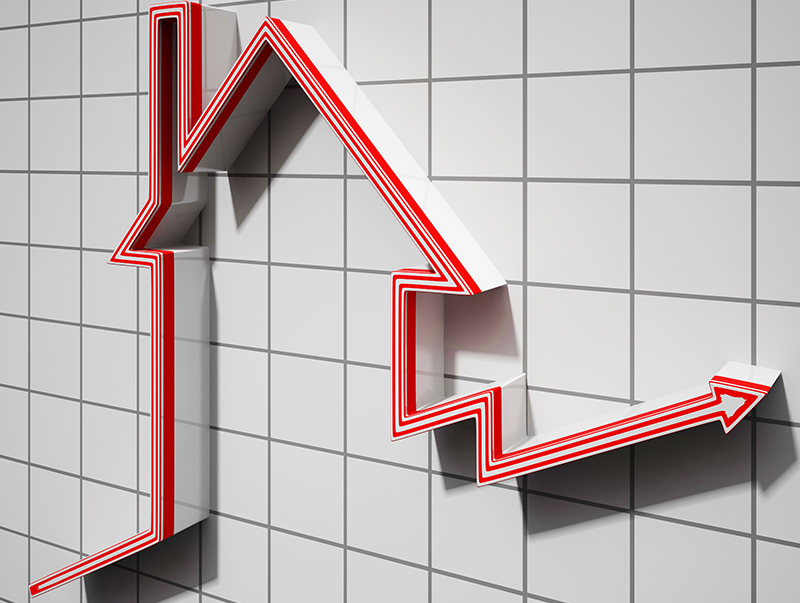 Most homes that have been bought by an investor remodeled and sold for profit will usually fall into this flip category. You will be wooed by all this, but how do you know which investors really took their work into account and which ones only did shoddy work to make you consider buying it. How would you recognize a promising flop from a beautiful flip? Real estate is here to stay for a very long time, but unfortunately, some buyers are rushing to purchase homes without taking some key points into account. Don’t let your eyes divert your attention from determining the true value of the home you just purchased. Make use of the checklist below to make your cash count. The real estate market is a hot market and homes are selling real quick before you even have time t make a decision about it. The competitive investors market has put a lot of pressure on buyers to make a purchase in a nick of time. Let’s are honest here, this is a really big investment of your life that you will ever make, do not rush into it. Never ignore home inspections, even if the seller is requesting no inspection contingencies. Nonetheless, before anything else, make a visit to the house and give it your own inspection. You can bring anyone you know that has experience in real estate or construction and check every corner of the house. Take your time, take pictures, check everywhere you wouldn’t think of (between wall and floor, between countertop and wall, window frames, door frames, etcetera). This part is very essential. Dig deeper into the history of the property, a most public website such as Zillow and Redfin offer Property History reports, which they pull straight from public records. Title companies can offer this as well. The first thing to check is the most recent change of ownership. If it was in the past 12 months, then most definitely it’s an investor flip or a recent buyer discovered something wrong with the house. Either of the reason should prompt you to research more into the property. The prices for these change of ownership transactions should help you know if it is really a flip or just someone selling quickly after purchasing. Second, check for signs of any unusual activity. This could be multiple changes in price and many listed or not even listed actions. If it was a flip and has been on sale for a while now with so many unusual activities, then you have to find out why. The problem could be either with the home or that it was just overpriced. But one of the fastest ways to know potential property issues is to check the history of the property. Just because the investor is making $50k doesn’t mean they are ripping you off, which is the most thought misconception. Buyers would see a home purchase 6 months ago, for $400k and they are under contract for $550k on the resale. They would say, “They are making $150k off me?”. We need to understand the full process of a flip because the investor’s profit is considerably less than just the difference of numbers. You should also note all the approximate expenses this investor has: closing commissions (6%), holding cost (2%), closing costs(1%), renovations( $35-$65/sqft =$50k+), loan costs(9%), possible closing costs on purchase(1%). Take a look at the example below. After deducting all the expenses incurred, the investor will be left with $18,500. You would think it’s a lot of money but it’s only $3k a month which isn’t exactly a status of a millionaire. Understanding the rip-off concern, we can now spot is the home is being overpriced or it is just a fair price basing on the market comparisons and investment history. Next, find out about all the choices the investors have when flipping the home. Well, they redid the floor, but is everything under it also in good shape as the shining floor? Investors moving too quickly tend to make a common mistake of sloppy floors. Check if all the electrical and plumbing connections were done correctly and to the expected code. The roof and the exterior stucco were redone correctly, but was all the vents installed correctly too? Don’t be lied to by the glimmer of the house. You could also request for all permits of the house so just you be sure if there were any additions or structural changes to the house. As noted earlier, this is an essential part of the home buying process and shouldn’t be ignored on a flipped house just because of the glimmer. We are not experts, but home inspectors are. So, make good use of them and listen to what they have to say. Demand any fixes to be made prior to the close of the purchase. Required fixes should always be negotiated into the deal as credits or completed by seller. Get to know the difference between hardwood and laminate hardwood, or quartz vs granite. Each has a different price, which may help explain why the home is priced higher or lower than others you’ve seen the area. This will also help you know if it is the right home for you. Many would prefer hardwood to the others but they can’t really tell the difference between engineered and laminate. Solid(Real) Hardwood: more expensive, expands/contracts in weather, no true pattern as it is cut straight from solid wood or nature, the pattern will never repeat itself. Engineered Hardwood: usually cheaper than solid hardwood, both can be refurbished, not affected by humidity/temperature as much, more versatile. Laminate Hardwood: much cheaper, still durable but not strong against water, will bubble, versatile. The above checklist will help buyers on decisions they make concerning the purchase of a newly fixed-up, flipped home. Most of the renovated houses are of high quality but there are a few flips to give a second thought before buying. Find everything you will need to help not have a poor judgment on the property. The more information the better. Use your trusted experts and listen to their opinions seriously. But most importantly, trust your instinct! There’s no doubt that hard money funding is gaining more attention as more and more people are turning to it as an alternative to source quick funds for their real estate investments. However, for those who know little to nothing about it, they will be hesitant to proceed since it’s different from the conventional lending institutions they are accustomed to. 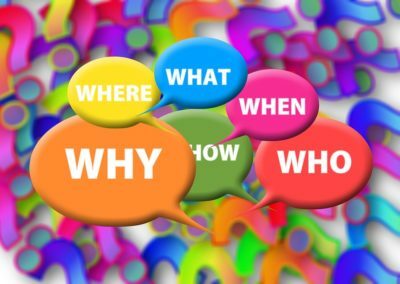 It’s a good idea to find out as much as you can about hard money funding well before you start the process and a good way to go about this is by asking questions. There are many avenues both online and offline to get the answers you seek and doing that will make sure you understand the workings of this unique industry. Also, you’ll be in a better position to choose a lender you’re confident and comfortable working with. This will eliminate worrying and prevent any unpleasant surprises as the transaction progresses. You can discuss anything you don’t understand about the process with your chosen money lender but make sure each question is answered before you proceed. 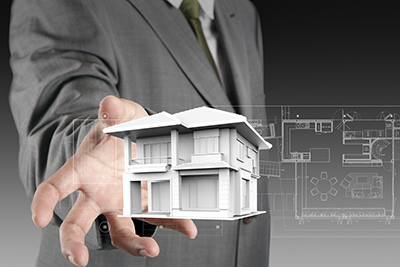 Even experienced borrowers know that every lender and project is different so clarify every point with them first. 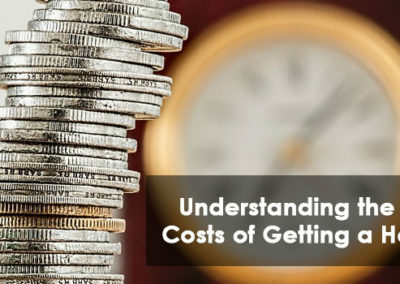 Below, we have some of the most common questions newbies have about hard money lending. As you go through them, take time to note any additional concerns that crop up in your mind as you read along. You can discuss them further when you are face to face with a lender. Let’s start with the basics of hard money funding. As we mentioned before, each lender will have their own specific way of doing things but the norm in this industry is that the lender will base their decision to lend, or not to lend, on the value of your proposed real estate project. This is unlike the banks who are more concerned with your finances, assets, income and credit history. In this case, the lender is concerned with the profit potential of the project and will base their decision on that projection. If your loan application scales through and is approved for funding, you can expect the money to be wired in a matter of a few business days or at most a week or so. This surely beats the traditional banks where you may not get a decision till months after filing your application. Be careful to choose a reputable and experienced hard money lender to work with and feel free to ask for their references from past clients. Also, check them up online as they should have a website with some reviews and testimonials. Be wary of any lender that cannot show you proof of their track record of success. 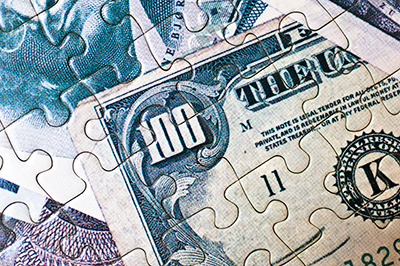 What Kind Of Rates Are Applicable With Hard Money Lenders? The rates on your loan will vary and though they may not be able to give you an exact figure at the time of your application, they should be able to state a ballpark figure to guide you. The rates will eventually be determined by other factors as the loan application progresses. How Do Hard Money Loan Rates Compare To Banking Loan Rates? Expect the rates to be higher than what obtains with traditional lending rates. This is because the risk is higher since the lender bases his/her decision to lend on an asset rather than credit score and income etc. 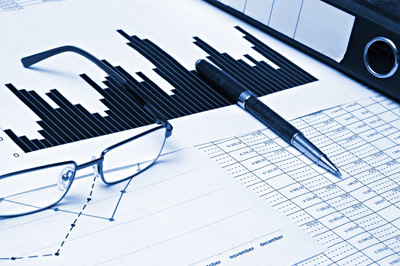 In addition, you need to factor in the speed with which the funds are going to be released to you. Who Funds The Hard Money Commercial Loan? The loan may or may not come from the hard money entity you identify with directly because they may broker it out to another company. The process will be faster and easier with a direct deal but whatever the case, ask ahead if you think this will be an issue for you. Should I Expect Other Fees As We Progress? Experienced borrowers will be wary of unexpected fees and charges that always seem to crop up at the end. Ask ahead and try to get your lender to commit to the costs you will expect to pay in total. Apart from third party charges for things like title insurance and legal fees for which your lender is not directly responsible, they should be able to tell you what to expect for everything else. How Soon Will I Get the Funds? Hard money lending usually works faster than traditional funding, that’s one of the main attractions. But, note that this will vary from one lender to the other. Generally, they will give you an idea about how much time it will take even if they can’t give you an exact date. You can get a better idea of an exact date once some major hurdles have been crossed like title insurance and property appraisal. Lenders are careful not to unduly delay transactions as they know real estate deals are time-sensitive. As a result if this, they will work very hard to create a smooth transaction and get the funds to you as quickly as possible especially if you let them know the timeframe you are working with. What Loan Length And Terms Can I Expect? 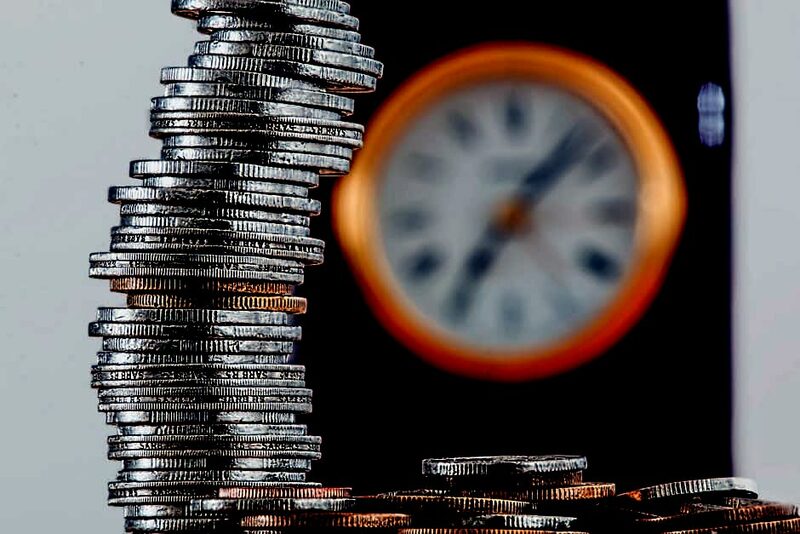 Another feature of hard money loans is that they are relatively shorter than traditional loans and generally run from six months to about 36 months. This is an important part of your loan and you should ask about this as soon as possible. Also confirm if it can be extended. Other things to consider are penalties for defaulting, early payment, contravening any of the loan conditions, and so on. These are unpleasant issues to deal with but it’s always better you know in advance. 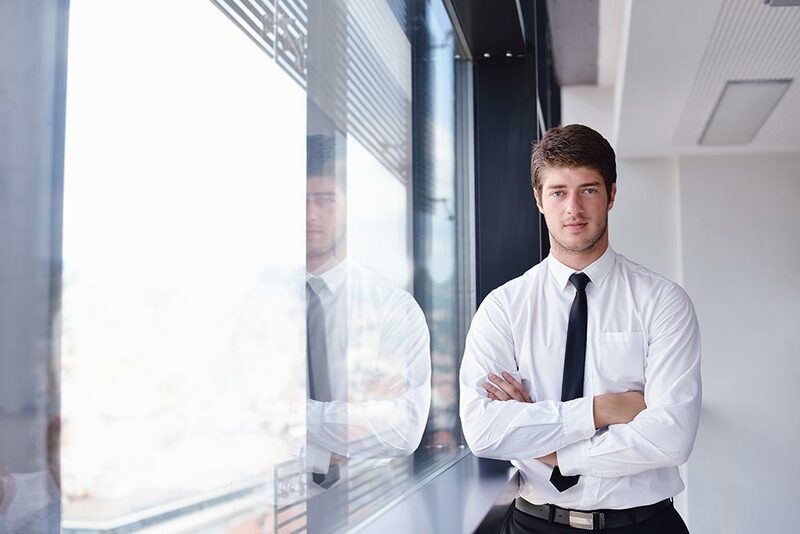 What If I’m An Inexperienced Real Estate Investor? Even if you are an inexperienced real estate investor, you can find a lender that will be happy to work with you. Some lenders choose to work with experienced investors only and that’s okay. Keep looking and you’ll find one willing to fund any borrower that meets their selection criteria. Many reputable hard money lenders will also be happy to work with you, as long as your investment proposal is viable and has the potential to be profitable. Don’t be discouraged if a particular lender turns you down due to your inexperience, you’ll soon find someone that is confident in you and your idea. If you are experienced, you’ll be asked for proof of your past projects so have that information handy. Once you have a list of proposed money lenders you want to approach, check out their websites for some information about them. You may find answers to many of your questions there. But don’t stop with an online search. Make it a priority to visit the lender in person before moving ahead. You’ll be able to decide whether you are comfortable working with them or not when you’ve met them in person and seen how they work. Every lender will have their own way of working and this will be noticeable in how fast they release funds, the kind of reviews they have, their interest rates and son on. Rarely will you find one company that scores perfectly on all points. Just decide what’s most important to you, and your project, and stick to a lender that will make it happen. Note that a full recourse loan is not the same thing as a guarantee and they both have different legal implications. 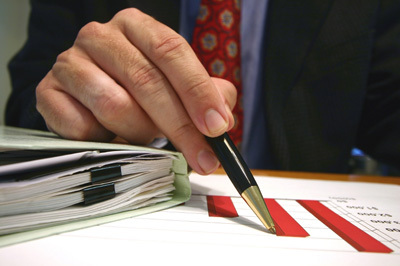 A private money loan can either be a full recourse loan or non-recourse loan. 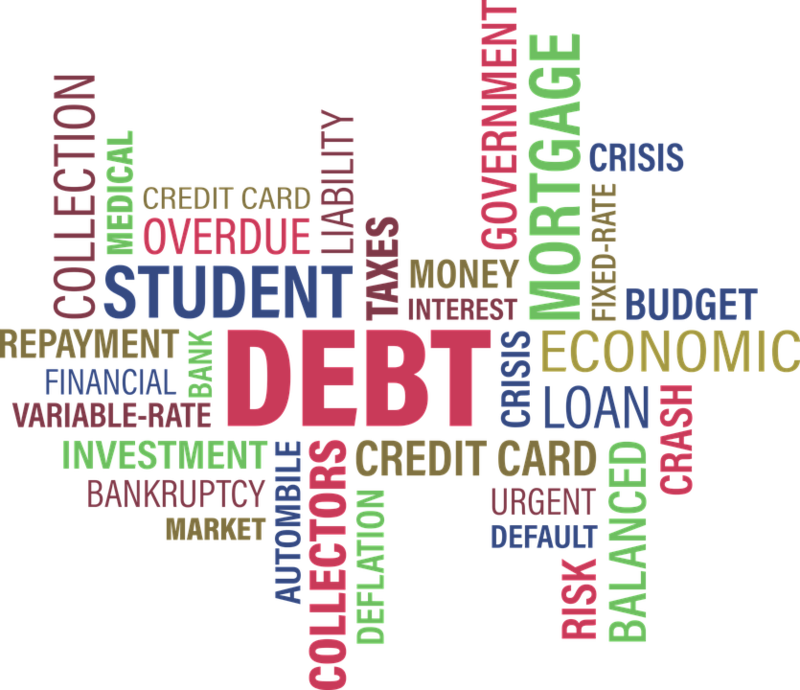 In a full recourse loan, if the borrower were to default or the collateral does not fully settle the debt, the lender is permitted to pursue the borrower to collect on other assets owned by the borrower. To protect themselves against this, many borrowers title their assets in separate entities from their personal name. In a non-recourse loan, the borrower is not held personally liable for repaying the outstanding balance on the debt. Though, there are exceptions to the rule known as carve-out provisions. For illustration, let’s say a borrower approaches a lender for a hard money loan and uses a shopping mall that is titled in his name as collateral. They strike a deal, and the lender gives him a full recourse loan but without a personal guarantee. If the collateral asset securing the loan has to be liquidated but falls short of the total loan amount, then full recourse allows the lender to sue the borrower for the shortfall. In this instance, the loan is similar to a personal guarantee and the borrower is exposed on all other assets titled to him personally. If the borrower in the above example had owned and titled the assets through an LLC, and secured the loan through the LLC, the lender can only claim compensation to the extent of the value of the assets owned by the LLC. In essence, a full recourse loan is restricted to the borrower’s personal assets. As a result of this, to improve their risk position, the majority of commercial lenders will demand a personal guarantee from a potential borrower and even include assets of other related entities too. Doing that will allow the lender pursue more alternatives to recover their money. There are three types of guarantees: unlimited, limited personal and conditional personal guarantee. Unlimited personal guarantee. The guarantor guarantees 100 percent of the loan amount plus other costs like legal fees, accumulated interest and any other costs incurred while trying to recover the loan. For example, if you owe $6,000 and the lender spends $500 in legal fees to recover the loan, you now owe $6,500. After foreclosing on the collateral, if there is still some debt outstanding, the lender will go after your other personal assets to make the loan good. Limited personal guarantee. This type of guarantee sets a dollar limit on what the lender can recover from you in the case of default. It’s more common where several partners, or shareholders, take out a company loan together. 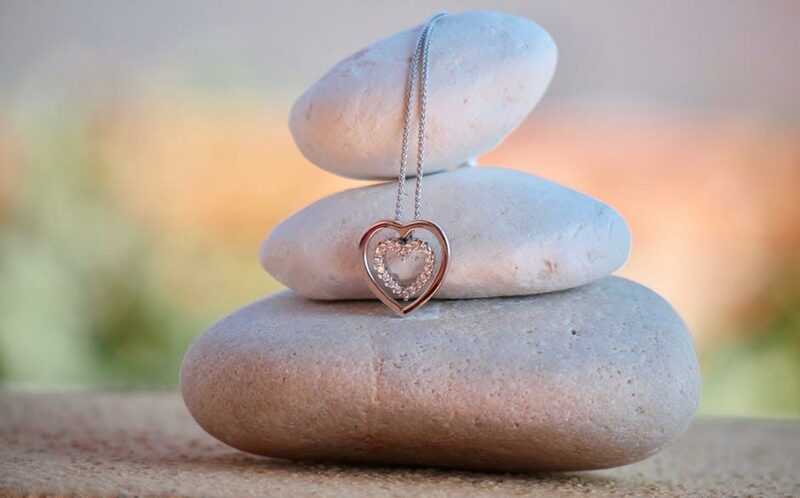 However, a limited guarantee will often include a fraud clause or “bad boy clause” that converts a limited guarantee to an unlimited one where there is proof of fraud. Conditional personal guarantee. This is not enforceable immediately after default, but there must be a trigger event to take make the guarantee valid. In such cases, there are specific conditions the borrower must beach before the guarantee can be invoked. The Owner Of The Note May Change. It’s not necessarily the private lender or investor you are dealing with that will enforce the guarantee. Don’t make the mistake of assuming your cordial relationship with the person negotiating your loan will automatically buy you leniency if things go wrong. A lender may decide to quickly sell a non-performing note and cut his/her losses so the owner of the note can change at any time. You’ll need to have that at the back of your mind and consider that at some point in the transaction, you may find yourself dealing with a complete stranger that will go to the full extent of the law to collect if you default or violate any of the loan conditions. When you have this kind of knowledge in advance, it will make the loan transaction more favorable for you since you will be in a better position to negotiate terms like guarantees, etc. Check the different aspects of your loan and work with your lender to create an agreement that is advantageous for every party; the lender, the investor, and the borrower. Fortunately, hard money lending is highly negotiable, and it easily allows for such favorable arrangements. Real estate remains an investment of choice worldwide, but it takes a certain kind of investor get the best out of it. To participate in real estate, you must be prepared financially as transactions typically run into five figures and above. It’s a competitive market and the players with ready money get the best deals while others are still looking for funds. Hard money lending continues to rescue many investors that would otherwise have been frustrated out of the market. What Is Hard Money Funding? Hard money funding is a specific kind of asset-based arrangement for borrowers seeking funds for real estate projects. Such projects include; purchase or construction of residential, commercial or industrial projects depending on the selection criteria of the lender. Unlike in the banking sector, the criteria for lending here is based on the borrower’s asset position rather than their credit scores or financial history. Hard money lenders may be private investors or companies, and they tend to be flexible in their requirements so feel free to approach them to discuss your funding needs. What Kind Of Terms Can You Expect? The property in question will be appraised by a professional to determine its value after the planned repairs/rehabilitation. The lender will make you an offer based on that value rather than the present value of the building. Hard money funding will usually come at a higher interest rate compared to a conventional loan. This is due to the higher risk the lender will carry when they decide to approve the loan. In most cases, you should expect a balloon loan payment. You will be expected to make interest-only monthly payments and then pay off the principal in a lump sum at the end of the term. The loan term varies and can stretch from a few months to about 3 years. Discuss with your selected lender to agree on the loan term. Probably ever hard money lender out there has a website so take some time to go through their terms and conditions even before you approach them. This will help you narrow down your choices. Remain Updated With Hard Money Industry News And Trends. 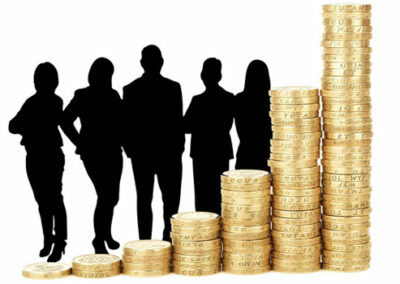 You may be surprised to know that when you factor in bridge and payday loans, the hard money lending industry is now worth circa one trillion dollars of funding annually. And, it will only increase with time. The convenience it brings compared to traditional banking and credit unions is unparalleled. Continuous innovations in technology mean that potential borrowers can even log in their information to lenders’ online portals from the comfort of their homes/offices and “start the ball rolling” right away. Generally, the signs indicate that the market is healthy and will continue growing. Whatever kind of real estate project you have in mind whether a new construction, house flip, outright purchase or rehabilitation, etc. now is a good time to enter the market. A 2016 LinkedIn Pulse study reports that the market is showing steady growth, and healthy metrics combined with plenty of ready capital meaning good opportunities for borrowers. 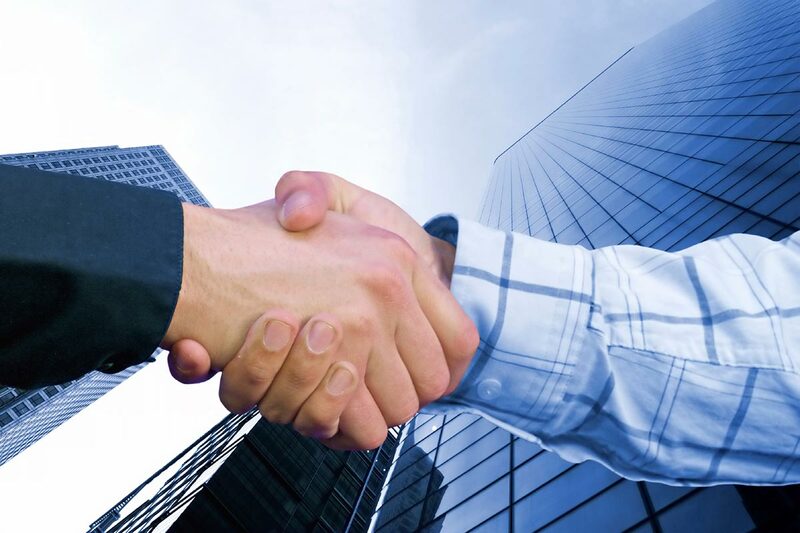 As a potential stakeholder, it’s prudent to keep abreast of lender news, and trends to keep you in the loop of who is doing what and know how you can also take an advantageous position in collaboration with a reputable hard money lender. 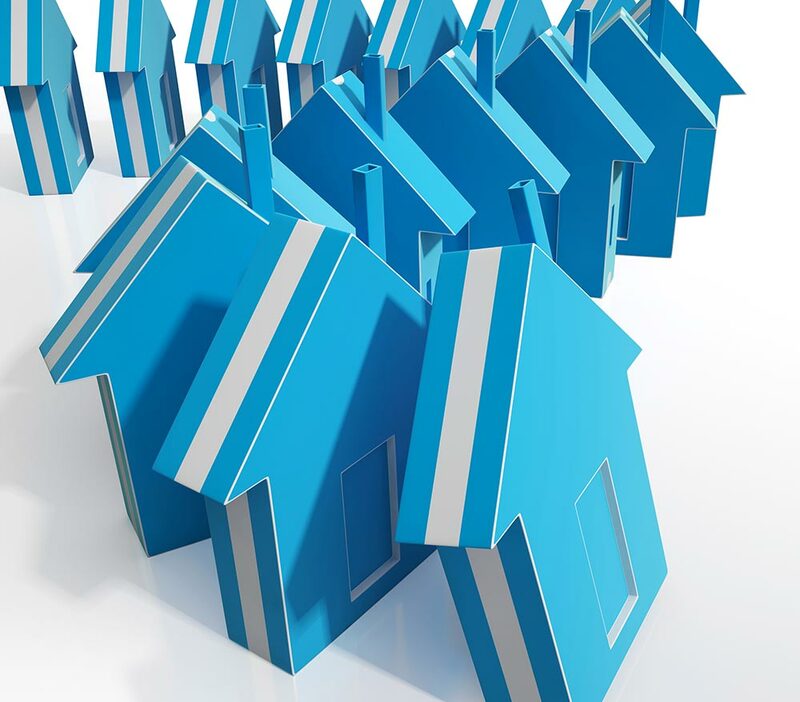 Regardless of whether there is rivalry in your neighborhood advertise, on the off chance that you will go the additional progression and work harder than the other real estate investors, you will have the capacity to discover houses to flip and connect with property proprietors that have not addressed any other individual about offering their property. Being first on the scene of new real estate bargains in the deal class requires key thinking and arranging. For additional about how to discover properties continue perusing, or look at our free, comprehensive guide, Flipping Houses 101. Concentrating your endeavors on one territory is critical to discovering bargains, building connections, and turning into the go-to real estate investor. Numerous investors spread themselves too thin in the first place and they never increase any neighborhood footing with regards to having a consistent stream of properties to flip. Your real estate market will contrast contingent upon where you live, yet make a point to pick an objective region with no less than 300 homes. It is additionally essential to pick a zone where there is venture action. Search for homes being rehabbed, restricted REOs and short deals, gentrification, and dynamic purchasers. Once you’ve distinguished your optimal ranch neighborhoods, the time has come to begin recognizing empty as well as troubled properties. What Types Of Properties make the Best Investments? A critical piece of picking venture properties to flip is having the capacity to find them by regular attributes and qualities. While empty properties regularly have the least asking value, it is exceptionally likely that numerous non-empty homes will likewise fit the criteria for a decent arrangement. Most properties are not all that bothered that somebody going by would see them as a potential arrangement unless they are vigilant! Utilize the accompanying rundown of signs that a property is being fail to spot one in your ranch territory. Youll start to notice homes that likely have proprietors hoping to offer, regardless of the possibility that a For Sale sign isnt there. In particular, contrast the home with whatever is left of the piece. You’re searching for a wide crevice in quality between the property and whatever is left of the area. On the off chance that it would appear that a decent chance to include esteem, record the address. 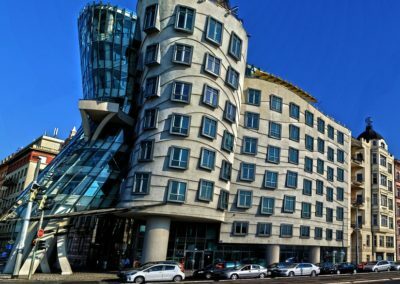 It is not the absence of assets, yet rather the absence of genius that genuinely keeps real estate investors from achieving their speculation objectives. A portion of the systems and methods underneath might be distinctive for your market, however that ought not stop you. Having a receptive outlook and contemplating how to discover new leads is critical to real estate achievement. A portion of the above strides will require additionally inquire about. Don’t timid away however, as this is the progression where most different investors surrender. Your ingenuity will pay off. Get the telephone and contact enter individuals in your market to perceive what sites and assets they are aware of. Call realtors, contract representatives, title specialists, lawyers, appraisers, and so forth. Keep in mind, this is the part that requires some burrowing and right-cerebrum inventiveness. The way your business sectors open records are put away and got to will be distinctive relying upon where you live, yet recollect that there is a way and approach to get to the foundation of what you are looking for. Investing energy around there can prompt discovering drives that are generally difficult to reach to whatever is left of the market. Since you have a rundown of names, locations, and potentially telephone numbers, the time has come to build up a promoting effort. The following are a couple of systems that have ended up being fruitful. I am occupied with obtaining your property. If you don’t mind get in touch with me. Truly basic, correct? The vast majority over-confound this progression and compose an excessive number of points of interest. Simply, if the proprietor of the property has enthusiasm for offering, your letter slices appropriate to pursue and furthermore consolidates a level of interest a key part of good advertising. In the event that you would prefer not to send these letters physically (printing and after that hand composing envelopes), there are numerous awesome mail benefits that will robotize the procedure for you. You will initially need to put your locations into a spreadsheet, (for example, Microsoft Excel) and after that transfer them to a site. In many cases the cost is just a couple of pennies over the cost of a stamp. Look at Click2Mail.com and make a point to tap on Letters and Flyers and take after the onscreen guidelines. Neighbors at times have data that you won’t have the capacity to discover anyplace else. Figuring out how to approach neighbors and build up a relationship is another extraordinary strategy. 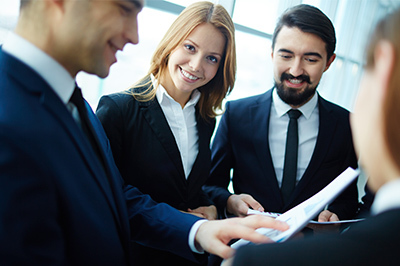 Not exclusively will they make you one stride nearer to the property proprietor, however in the event that they know you purchase property in the zone, and they see an incentive in what you are doing, they could turn into a decent wellspring of referrals for your venture business later on. Don’t hesitate to utilize the script underneath until you get happy with moving toward individuals. Keep in mind to unwind. You are there to help dispose of the empty, bothered house that is dragging down the estimation of their neighborhood. Record any data they give you. Request the name and telephone number of the proprietor. After you complete the process of conversing with them about the empty property, inquire as to whether they know any other individual that needs or needs to offer their home. Offer them a referral charge. Get them on your group and give them a couple business cards. Likewise reach data too so you can place them in your database and build up a relationship. The more eyes in the city searching for real estate bargains for you, the better! Overview the area for real estate bargains under market value KNOCK! Thump! Investor: Hi, I buy properties in the zone and saw the home adjacent. I might want to buy and redesign the house, yet I have been not able find the proprietors. Do you have a brisk moment to help me? Neighbor: Maybe, what is it? Investor: Do you know how I can connect with them? Investor: Do you know whether they have family or companions that still live in the range? Neighbor: Yes. She has a cousin who carries on a couple squares away on Mason Street. Investor: Did she ever give you a telephone number or any approach to get in touch with her? Do you know her address? Neighbor: As a self evident reality she did. Give me a chance to check whether I can discover it for you. Investor: I really value your help, much obliged! In the event that they acknowledge my offer, I will get this place tidied up and the square will look significantly more pleasant. Incidentally, in the event that you are aware of whatever other individuals that need to offer a home, I give a $500 referral charge for every property that I purchase. If you don’t mind remember me. Heres my business card. Remember that every discussion will go in an unexpected way. Dont stress in the event that it doesnt dependably go easily. Keep on reaching out to neighbors and after some time you will refine and improve your procedure. Keep this up and soon enough you will have a couple key individuals on your group. These individuals will have their ears and eyes open to open doors for you. There are several distinct techniques to discover reduced properties. What strategies have worked best for you to discover real estate bargains under market esteem? Have you had any fortunes in finding proprietors of empty property? Tell us whats worked for you. As you embark on your next house flipping project, success and quick sales will be at the back of your mind. With the variety of décor, finishing and other upgrades to choose from, you’ll need to be careful not to go overboard or underperform at the end. How do you ensure your efforts will attract your target market quickly? The kind of properties in the neighborhood where your house flip is situated is your best indicator of the what, when, where, and what not, to do. Surely, nearby properties and the kind of people (their income level, average age, etc.) residing in them will guide you and give you the best idea on how to proceed. Ask yourself: What kind of living environment would this kind of buyer be most interested in? Usually, cost-saving, child-friendly (for young families), homely atmosphere and so on. Try not to deviate too much from what you see around you, just add a few creative and unique touches, and it will stand out in an instant. Let’s look at a few tips you could use to make your property outshine others without going overboard. 1. Maintain The Charm Of The Property. Don’t be in a hurry to wipe out everything about the history of the house. After all, buyers are aware that people have lived there before. 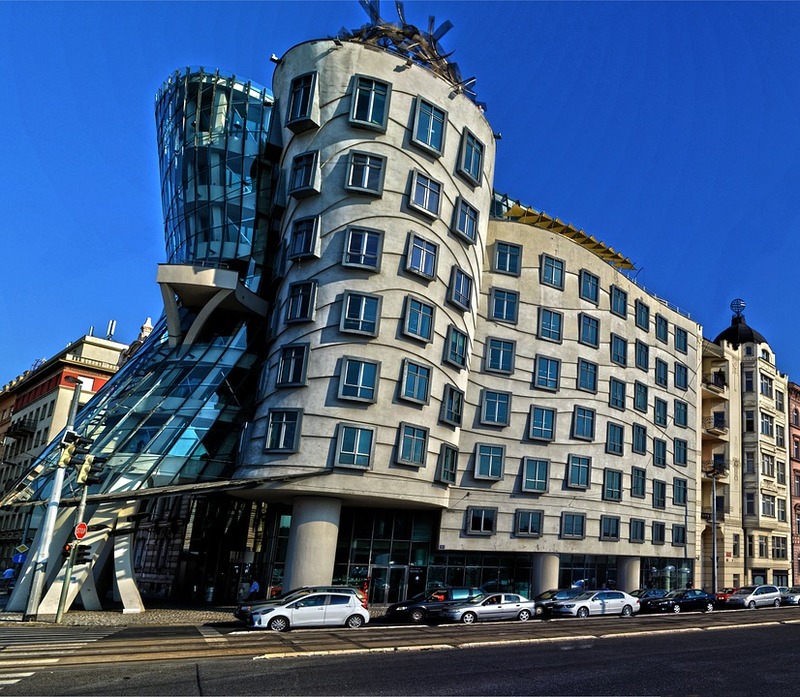 All you want to do is restore and modernize it without stripping it of its charm and history completely. Maybe leave some of the original architectural features in place if they are still in good condition. Things like brick or stone walls, wood paneling, arches and pillars, antique accessories, decorative shutters, Corinthian columns, and so on. 2. Improve The Energy Efficiency Of The House. Energy efficient lighting systems have become trendy for some years now, and savvy homeowners will be on the lookout for them. They have improved tremendously over the years, and you can find them in all shapes and sizes. LED lighting will advertise your home as low maintenance, energy efficient and modern. 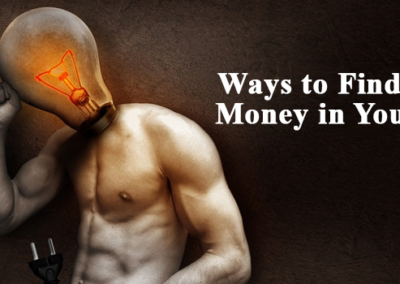 This will give you an edge because buyers will know their monthly energy bills will reduce. You can get new LED fittings for about the same cost as traditional light fixtures. 3. Improve On The Exterior. Many renovators get carried away with the interior of a house and do everything to make it as modern and welcoming as possible, but they completely overlook the outside. There are many little touches you can bring to your house flip that will make it a winner and possibly even command a higher selling price without breaking the bank or upsetting your initial renovation budget. For instance, if your property has a large green area that’s been neglected, with a bit of ingenuity you can convert it to something that will make sure your buyers are in a hurry to move in! Imagine if you added planters, a small play area for kids, a garden hammock or swing set, garden gnomes, a walkway and wrought iron furniture, etc. With some tweaking, you have just created something fit for a king and queen. Honestly, the options are endless. Just be careful not to introduce a feature that will require a lot of maintenance. With some creativity, you can make even the most basic and bland of houses stand. This applies especially when you are buying one out of a row of houses. You can find budget pieces that will add some character to your house at garage sales and antique shops, and even online too. You’ll be amazed at the kind of affordable one-of-a-kind items you’ll find on sites like eBay for instance. Remember not to be too adventurous as you’ll still have to appeal to the tastes of potential buyers. Also, you may need to confirm if there are any restrictions in place on the kind of items you can add to your building exterior particularly in the front. 5. Incorporate Flexibility With Upgrades. As you go about improving the features in and outside your building, avoid customizing it in a way that it will appeal to a very limited set of buyers. It’s frustrating when numerous buyers like your house but keep turning it down because of one particular change you made. If you are thinking of partitioning an open space, instead of permanent walls can you maybe introduce a folding wall instead? You could even consider a Japanese folding screen if it goes with the rest of the interior. Buyers will be more inclined to buy when they see that they can always fold and unfold it as their needs require. Apparently, all these tips won’t involve too much effort or funds to execute. But, if you can take the time to include a couple or more of them in line with the needs of your target market, you’re likely to make a sale in record time and be off to the next project.